If you’ve never been, the Silent Barn is a very Bushwick place–it’s a music venue/artist studio/barber shop/gallery/cafe/whatever they think of next. 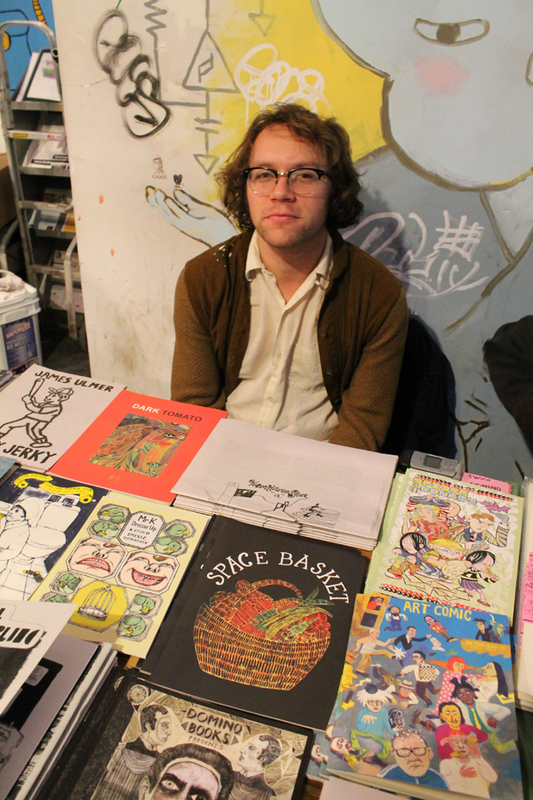 On Saturday they hosted Paper Jam, their twice annual small press festival. The show was started and is largely directed by Robin Enrico and Paige K. Bradley, along with a somewhat shifting cast of co-curators (Olivia Fox has also been involved since the beginning). Paper Jam is 100% curated, and with space for only 24 exhibitors it feels a bit more like a gallery exhibition than a comics convention. You cannot apply to table, you can only be selected. 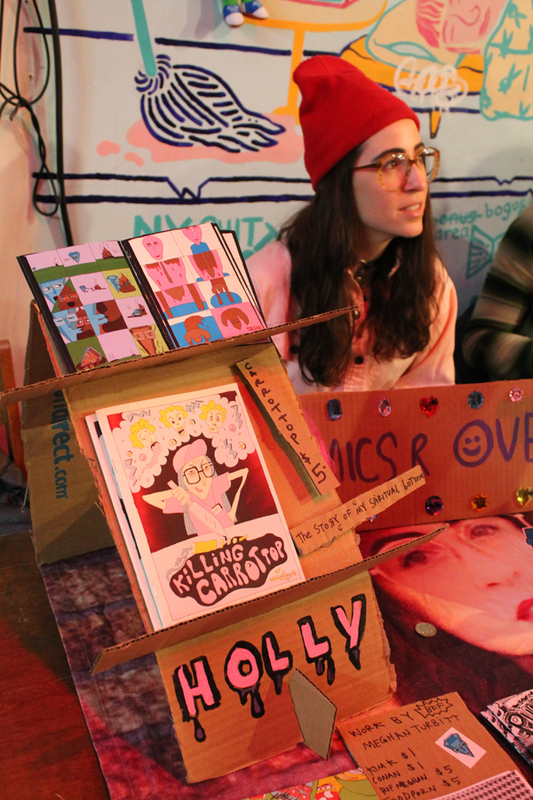 The lineup doesn’t repeats itself and is split pretty evenly between comics and zines, so you’re guaranteed to discover new work. 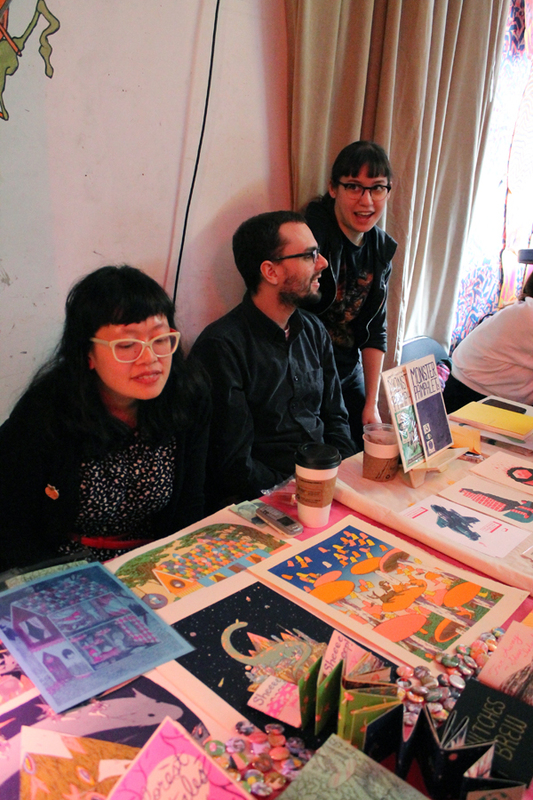 Admission is free AND, for the hand-picked exhibitors, tabling is free. It’s something rare to find, outside of festival that are subsidized by institutions or universities (and those are rare enough themselves). 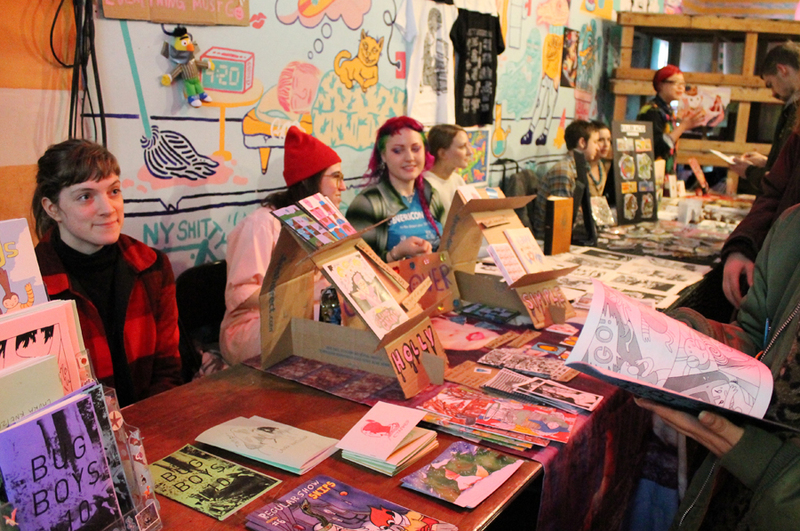 I think the free tables and the general party vibe bolsters a sense to goodwill–it’s a friendly and intimate show. I haven’t met anyone yet who had a bad word to say about it, but I wonder if that will change in a few years if the creators waiting for an invitation feel they’ve been snubbed (perhaps the grousing has already begun). This entry was posted in Uncategorized and tagged conventions, Paper Jam, Silent Barn. Bookmark the permalink.